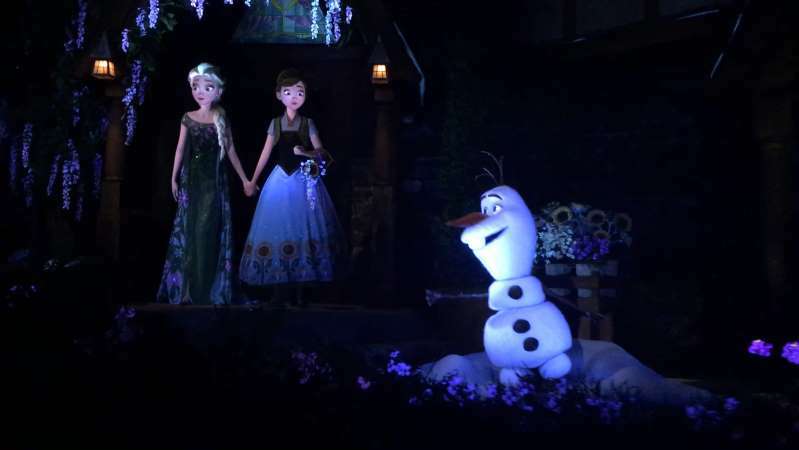 Animatronics of Anna, Elsa and Olaf appear throughout in Frozen Ever After. The water boat ride has generated more calls for evacuations to Disney's fire department than any other attraction over the past two years. Behold the power of Frozen - a ride at Epcot that is both beloved and known for breaking down. The Frozen water boat ride, open since June 2016, has generated more calls for evacuations to Disney's fire department than any other attraction over the past two years. In fact, Frozen accounts for 20 percent of all ride evacuation calls made to Disney's own first-responders, Reedy Creek firefighters. Out of more than 550 ride evacuation calls, 113 were for Frozen, according to data provided by Reedy Creek. Two other longtime attractions open since the 1970s came next on the list, with Pirates of the Caribbean, another water ride, having 72 evacuations and Space Mountain with 64. [post_ads]It's unclear why Frozen has prompted the most calls. Disney would not provide an executive to discuss the issue but said in an emailed statement, "Our rides operate at a high degree of reliability, and while occasional downtimes and full ride exits are a part of normal operations, they represent a very small part of the total operating day and overall guest experience." All but one of the Reedy Creek reports stated nobody was injured or in distress. One incident involved a "medical call," but the report had no details. The situation is ripe for jokes, especially when people are stuck on Frozen. "Frozen on Frozen," Disney annual passholder Erika Iversen titled her YouTube video after the ride unexpectedly stopped in December 2017 before the final scene. "Let it go? Let me go!" 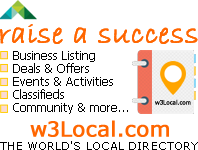 is a common refrain on social media. In a ranked list of Walt Disney World rides - including outdoor ones that close in bad weather - computer scientist Len Testa called Frozen the eighth most unreliable attraction. Frozen breaks down at least once on six out of every 10 days, said Testa, who runs a website and app called TouringPlans. Testa, whose work has been featured in the New York Times, analyzed data from the My Disney Experience App, which posts whenever a ride is down. It takes an average of about 59 minutes to get Frozen working again, he said. Evacuations can happen for many reasons, from passengers needing more time to exit to a shutdown sensor tripping from a big splash of water or because of a dropped water bottle in the ride's path, a Disney spokeswoman said in an email. Theme park experts who spoke to the Orlando Sentinel gave theories about why Frozen might be prone to more evacuations. Perhaps water is a culprit, suggested Jeff Jensen, an executive vice president at ITEC Entertainment, an Orlando company that handles design, technology and production for theme parks, rides and shows. ITEC has worked at Disney in the past but not at the Frozen ride. "Water rides are notorious in our business for being the most difficult to maintain. Notorious," Jensen said. "We dread the water rides as far as maintenance. They're challenging." The water, full of chemicals so it's as clean as a swimming pool, is tough on a ride's mechanical pieces - all the belts, gears and chains. The humidity creeps into the air, too. Rides today are safer than ever, but they're also incredibly complex with many safeguards in place, Jensen said. That means a small monitoring failure, like a broken sensor, could shut a ride down. "For people who understand how these rides work, you just go, 'It's amazing they actually run,'" Jensen said. "They stand a better chance of breaking down because they are really safe." Because the rides are complicated and run by computers and sensor technology that might be found in a factory or a power plant, they require maintenance workers with special expertise. "The competition for trained, experienced staff is fierce," Jensen said as Disney, Universal and SeaWorld all build new rides every year. "There's probably a bidding war between Universal and Disney and all the other parks for experienced guys that know how to troubleshoot complex rides." Without elaboration, the Disney spokeswoman denied that water or the ride's complexity were responsible. A different possibility, suggested another person who closely follows the industry, is the ride's infrastructure and its dozens of high-tech animatronics. The 26-year run of Maelstrom, a water ride showcasing the spirit of Norway, ended in 2014 and was replaced with Frozen, meant to capitalize on the success of the 2013 movie. The Frozen attraction kept the same infrastructure and reuses the Maelstrom track and logs for passengers to sit in, said Kathy Mangum, senior vice president of Walt Disney Imagineering, in an interview with the Wall Street Journal. "Frozen has a lot more advanced animatronics," added Bill Zanetti, an adjunct professor who focuses on theme park management at the University of Central Florida's Rosen College of Hospitality. Riders can see Frozen characters, from the slapstick snowman to Elsa, singing songs from the movie. "I don't believe they made a huge upgrade to the power substation. If it were my best guess," Zanetti said. "I would expect a lot of the down times and evacuations are because of power loss." Disney denied there were power or infrastructure issues. On most days, a theme park ride sputters to a stop. That can lead to people being escorted off the ride and then posting about the experience on social media. These are realities at Orlando's theme parks, which no longer have a slow season, as millions of people visit throughout the year, the rides constantly churning. Universal Orlando Resort occasionally needs first-responders for a ride evacuation and calls the Orlando Fire Department since it doesn't have its own internal team like Disney does. "If a ride doesn't break down once a day, that's a great day," Zanetti said. Disney said it calls Reedy Creek to help with guests who need help getting off the ride since the firefighters are specially trained. Incident reports requested by the Orlando Sentinel said Reedy Creek first-responders often helped disabled people get off Frozen, which requires stepping up out of the boat. "Cause is a ride issue," was all one incident report said from March 2017 when Reedy Creek was dispatched to Frozen four days in a row. "The guest was taken outside the ride and placed into her own wheelchair without incident." The reports didn't provide more details on if the person needed assistance climbing out of the boat at the loading station or was stuck somewhere in the middle of the ride. But it seems like the worst is over. The highest number of evacuations involving first-responders peaked at 10 in August 2017 and in October 2017. Now it's down to a handful. In June 2018, there were only two, down from six in June 2017. Reedy Creek could only provide the ride evacuation calls from as far back as late July 2016 so it's unknown how many times the department responded to Maelstrom. The Sentinel requested ride evacuations through mid-July 2018. For passholder Iversen, the lights turned on and the water drained out when Frozen stopped working. Still, her mood was light. The air conditioning provided a welcome 30-minute break on a warm day, and Disney offered them FastPasses for their trouble. She appreciated a new perspective of a Disney ride, too. "It's just something that you see behind the scenes – which if you want to keep the Disney magic then maybe you don't want to see it," said Iversen, a credit union employee from Pensacola. "But it is interesting on the rare chance that you do."